Master Japan Fukuoka is the Martial Arts gym in Hakata, Fukuoka, Japan, where you can learn “ Brazilian Jiu-Jitsu, Grappling, Kick Boxing and MMA” from the professionals. For someone whose goal is to become a professional fighter, or just to go on a diet and shape up, we offer a variety of class schedules that will certainly meet your request. Feel free to drop by and see for yourself. We have the former Shooto Welter Weight World Champion, former UFC Fighter and IBJJF official certificated Black belt instructors. 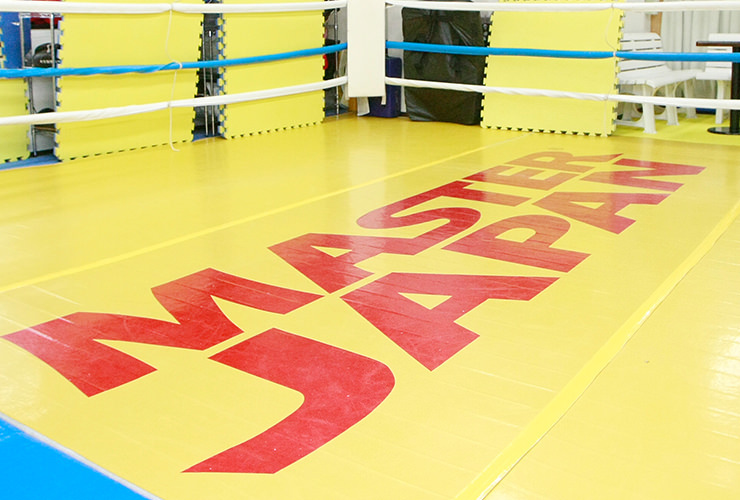 Master Japan Fukuoka is located inside of Gold’s Gym Commercial Mall Hakata Branch. You can take a best technique in a comfortable amenity & variety of convenient facilities at the Gold’s Gym. Clean key locker, shower room and sauna is available for members. At Master Japan Fukuoka, you can learn the [Gentle Art] Brazilian Jiu-Jitsu which is the fastest growing martial art in the world today. From beginners to those of an advanced level, we have a variety of classes that will certainly meet your needs. We encourage you to try any class that interests you, regardless of your level of ability. We are sure that you will find one that suits your timetable. No matter what your personal goal is, to become a professional MMA fighter, or to stay in a good condition, and release your daily stress, everyone is welcome! We have designed a series of movements, called “Animal Movement” that will allow you to fully warm up your body before starting. It also helps strengthen the core muscles and build up better body coordination. Treat each other with respect is our house rule. Besides that, enjoy the sweat and time you spend on the mat! You may not be confident in your sporting ability and think martial arts are risky. However, if you start from the basics and build it up from there, it will be just as fun as football or baseball. Remember, a strong mind also requires a fit body. We would like to make Master Japan Fukuoka a strong family with abundance of fun. you may feel intimidated to step into our gym, but please do not hesitate or be anxious, it is not an issue at all. Our gym is precisely for people like you. Anyone can enjoy and have fun while practicing. However, for someone whose goal is not competing but enjoying BJJ. Master Japan Fukuoka is also right place. Most people have experienced failing in one sports or another during their lifetime, I believe it is because they feel they need to excel, try hard to please their coach or trainer, and at times it is their own preconceptions and expectations that creates stress. For instance, no matter how you train yourself in field sports, not everyone can hold a time of 10 seconds for a 100 m dash. If the training pressures you to run at that level or you expect such result for yourself, you will burn out. I find Jiu-Jitsu to be an excellent sport because it enables the “100 m/10 sec expert group” and the “race completion target group” to both practice and enjoy training together. And to anyone’s surprise, the latter group has the possibility to win the match. Which means a man out of shape in his 40s ,50s or 60s could win against an athletically fit man in his 20s. The aim is just “one second longer, one second faster”. Each member with their own target, Master Japan Fukuoka can help achieve their goals. Age does not matter in Brazilian Jiu-Jitsu.